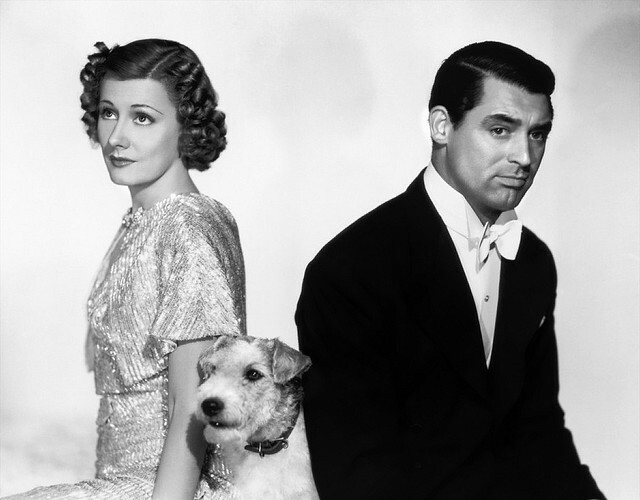 THE CRITERION COLLECTION PRESENTS: CARY GRANT IN SCREWBALL COMEDY 'THE AWFUL TRUTH.' (1937) REVIEW BY SANDRA HARRIS. Network are releasing 2 of Hitchcock’s early British films on Blu-ray this week: The Lady Vanishes and Young & Innocent. Both of the films show that Hitchcock’s style and technique was fully formed years before he left to go to Hollywood to make his masterpieces like Vertigo, The Wrong Man, Psycho and Rear Window. The Lady Vanishes is the more well known of the two and is often considered the high water of his British films, with only The 39 Steps topping it. It was also his penultimate film in Britain before he left for the glitzy heights of Hollywood; his last was Jamaica Inn, which is considered one of his very worst. A young woman is travelling by train and meets an elderly lady, but she soon mysteriously disappears. The rest of the train passengers deny the existence of the old lady, but a young musicologist helps the woman, and together they search the train for clues and for the whereabouts of the mysterious woman. The film is equally as much a film by Hitchcock as it is a film written by Sidney Gilliat and Frank Launder who seemed like the perfect match for Hitchcock’s perverse sense of humour. However, they never worked together again, except for some re-writes on Jamaica Inn. The film is one of Hitch’s most overtly comedic (of course, all of his films have his trademark humour) and the script is just one great line after another, giving it an almost screwball comedy feel at times. It’s also full of concise shots and storytelling, which is expected from the Master of Suspense. Young & Innocent is the more overtly Hitchcockian film of the two in the classical sense. It’s about a man who is believed to be guilty of the murder of a young woman; it’s the classic wrong man scenario, which many of Hitchcock’s best films follow. This one is not one of his best but it has many virtues. It’s a very quick paced film. At only 83 minutes or so, it’s a perfect example of Hitchcock's theory of a film’s length, “The length of a film should be directly related to the endurance of the human bladder.” The same can be said for The Lady Vanishes as well, however sadly in some of his later films in the 60s he didn’t follow his own rule. Young & Innocent is a solid populist thriller that shows a master filmmaker early on, yet clearly his focus and cinematic technique are already there, and much of his themes are on full show. Even his first film has a scene of characteristic Hitchcockian voyeurism. Both discs boast hi-def transfers and look as good as they can due to their age. Both films include introductions by Charles Barr and image based extras. Young & Innocent however has the upper hand in the features department, featuring a 25 minutes documentary on Hitchcock’s British career.